Pingmd is building the conversation pathway of the future for healthcare by removing the clutter and inefficiency of multiple tools, complex logins and irrelevant data. PINGMD will forge the new pathways for new models of care delivery and transactions. Patient engagement is the wave of the future. Pingmd is redesigning the healthcare experience to promote better continuity of care with higher utility for the patient whilst delivering much needed efficiency to the clinician. Pingmd creates new platforms required for efficient and personalized delivery of quality health care that provide clear communication that encourages engagement and fosters stronger relationships between partners, doctors and colleagues. Healthcare has been digitized but not enabled. The new world of virtual care via the smartphone enabled by point of care data is the sea of change that is moving us toward patient-centric and timely care delivery. Pingmd is focused on enabling the clinician and their network to benefit their patient. As many lead consumer and healthcare technology companies explore the healthcare opportunity, pingmd is leading the transformation of patient engagement and network collaboration to improve the clinician’s ability to improve care outcomes. Pingmd’s secure communication collaboration platform is enabling patients, doctors and their colleagues to coordinate better care and deliver care virtually where and when it is needed. Hospitals, practices and networks use pingmd to improve capacity to more efficiently manage care delivery and scale their care access. Clinicians rely on pingmd to be compliant with HIPAA security requirements and to replace their pagers, emailing and texting. Consumerism is the driver of the new healthcare model and pingmd is poised to be the platform of choice for the patient with a highly enabled clinician base. Pingmd is the first ever HIPAA-compliant, completely secure app-based service designed to restore relationships between patients and their healthcare providers. It is helping to pave the way towards a new era of patient-centric healthcare with improved access and better overall care for patients by providing case collaboration, continuity of care and a permanent record for digital health recordkeeping. 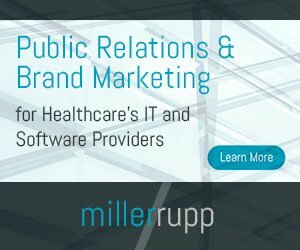 Customer, partner and HIMSS meetings. Exhibiting pingmd 2, a new platform featuring three capabilities to further strengthen communications between doctors, networks and patients. Announcing extension of the company’s partnership agreement with Children’s Hospital of Orange County (CHOC Children’s) for integration of the new ping 2 platform.